President Mugabe’s policies have been a major blow to agriculture, which was the bedrock of the economy. Credit: Jeffrey Moyo/IPS. HARARE, Aug 28 2013 (IPS) - For President Robert Mugabe to defeat the opposition in the Jul. 31 election by hook or by crook may have been a walk in the park, but beating the economic crisis will be another matter. The stock market fell 11 percent the day he was sworn in, the biggest fall in a day since 2009. Fears are rising that the policies of the ruling Zimbabwe African National Union-Patriotic Front (ZANU-PF) will further scare away foreign investors. “Zanu-PF’s current policy mix is in conflict with the needs of investors, and at present Zimbabwe is the least attractive investment destination worldwide,” John Robertson, director of the Robertson Economic Information Services told IPS. According to Zimbabwe’s Indigenisation Act of 2007, foreign-owned companies are forced to cede 51 percent of their shares to local people. But economists warn that the indigenisation policy is driving investors away. “Foreign investors are obliged to bring in 100 percent of the capital, bear 100 percent of the risk, provide 100 percent of the technology, and in turn settle for 49 percent of the equity and pay taxes,” independent economist Kingston Nyakurukwa told IPS. Mugabe’s policies have been a particular blow to agriculture. Agriculture provided employment for 60-70 percent of the population before the 2000 land reform programme that enforced greater local ownership of farms. Agriculture used to contribute 15-19 percent to the country’s annual Gross Domestic Product before the reforms. “President Mugabe presided over the seizure of productive commercial farms, rendering a blow to agricultural production. 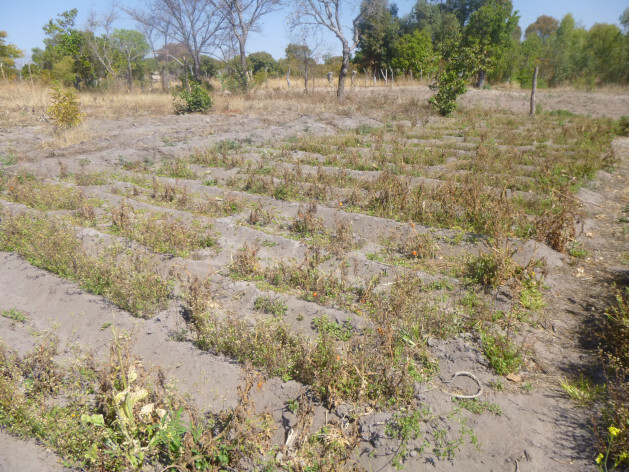 And when agriculture performs poorly, the rest of the economy suffers,” independent economist Agrippa Ndlovu told IPS. Zimbabwe is now a net importer of agricultural products. “Industrial and agricultural exports fell drastically between 2000 and 2008 owing to unfortunate political developments, particularly the 2000 commercial farm seizures, followed by a series of disputed elections between 2002 and 2008,” economist Tony Lewis told IPS. Zimbabwe has had no grain reserves for more than a decade following the eviction of white farmers, despite promises by Mugabe of a return to food self-sufficiency in 2010. Zimbabwe’s economy shrank significantly after 2000, resulting in widespread poverty and 80 percent unemployment. Zimbabwe currently exports precious metals like gold, platinum and ferroalloys, and also cotton, textiles and clothing, and tobacco, but to limited trade partners due to sanctions imposed by western countries. Presenting the 2013 mid-term fiscal policy review on Jul.10, Zimbabwe’s finance minister in the former government Tendai Biti said the earlier expectation of 5.6 percent growth by this year end would not now be possible. The estimate has been reduced to 3.4 percent. Investment in this Southern African nation rose after the formation of the coalition government in 2008, resulting in foreign direct investment rising from around 50 million dollars to nearly 400 million dollars between 2008 and 2011. But now there are new uncertainties. “I am really not sure what to do now because President Mugabe may go ahead with his moves to indigenise the remaining foreign-owned companies; I am really scared of his economic policies,” 53-year-old Jamah Fakuh from India who trades in glass told IPS. “With indigenisation, Zanu-PF aims to transfer the majority share of any business operations to black Zimbabweans without financial compensation, which favours Mugabe loyalists,” economist Admire Dziva told IPS. Godfrey Kanyenze, director of the Labour and Economic Development Research Institute of Zimbabwe, a non-governmental economic consultancy organisation, said huge challenges lie ahead for Mugabe’s government. “With the time for empty promises and electioneering now over, there is a crisis of expectation; promises were made to the people and it is now payback time. Poverty is endemic and there are massive debts of over 10 billion dollars that need to be addressed,” Kanyenze told IPS. Hyperinflation had made the country’s currency almost worthless in 2008. The economy stabilised in 2009 after conversion to the dollar as currency, and the formation of a coalition government between Zanu-PF and two opposition formations of the Movement for Democratic Change. Under the four-year coalition government Zimbabwe’s economy grew nine percent in 2010 and 2011, and five percent in 2012. Not everyone is convinced that Mugabe’s government can bring an upswing back after the further decline expected this year. “Economic growth may wane if there is no political resolution which identifies a legitimate regime,” economist Christopher Mugaga told IPS.